Newcomer Family Obituaries - Judy A. Gryte 1945 - 2019 - Newcomer Cremations, Funerals & Receptions. 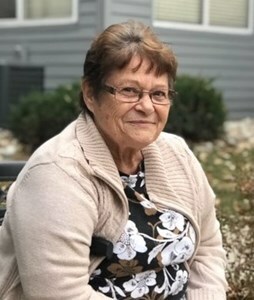 Judy A. Gryte, 73 of Aurora, passed away Tuesday, February 5, 2019. She was born in Torrington, Wyoming April 27, 1945. She is survived by her two children, son, Darrell Wells, daughter, Pauline (Steve) Weyers, and two grandchildren, Jacob and Morgan Weyers. She is also survived by her sisters, Connie Needles, Suzie Younkers, Rosemary McDaniel, and Sharon Vineyard. Her brothers, Gary Gryte, Garth Gryte, and Larry Thatcher, her mother, Sylvia Gryte, extended family and may friends. She is preceded in death by her father, Glenn Gryte. Judy graduated from Campion Academy and attended 1 year at Union College in Nebraska. Judy was a compassionate, caring woman who made many friends and was loved by everyone she came in contact with. To send condolences or leave a special message for the family, please visit NewcomberDenver.com. Add your memories to the guest book of Judy Gryte. I'm so sorry for your loss. I knew Judy from when she first started dog sitting for my inlaws, the Richersons. She was with them to help for many, many years. She will be missed. Mom always wanted to make people happy and help them. She taught me to have empathy and compassion for anyone no matter where they came from or who they were. She loved unconditionally. Mom had an infectious laugh and a warm smile. I’m going to miss her every day but know she’s at peace. Judy was a wonderful presence in the lives of many. Her caring attitude was apparent from the moment I met her. I shall not forget how caring she was in regards to my mother-in-law. She touched the lives of many and her presence will be missed. I thank her family for sharing her with us. May she rest in peace. I had my first job working with Judy at a hotel laundry and then at the Memorial Hospital! For being short she could fold those sheets of the press so perfectly it was amazing!! I loved her laugh which I will never forget! I have some great memories of her and so thankful for Pauline and Darrell! She was a blessing to lots of folks! May she find comfort in the our Heavenly Fathers house! I had the great honor of working with Judy as a caregiver these last few years. I was always impressed by her quiet and cheerful devotion to her clients needs. She was so reliable and thoughtful, always thinking about what extra special gift or action would make them happy. She was an excellent caregiver. I loved hearing about her childhood, her love for fishing and her very special times spent with her loved ones. I will miss her laughter, her twinkling smile and her warmth.